It’s hard not to think of summer when you talk about the beach, but locals and longtime visitors of the Outer Banks know that some of the best times to visit are in the fall. Typical beach crowds disappear, traffic thins out, and the islands take a deep breath as the hustle and bustle of summer fades into memory. But that doesn’t mean everything grinds to a halt, they just slow down a bit. Here are some of the best parts of taking a fall vacation on the Outer Banks. 1. 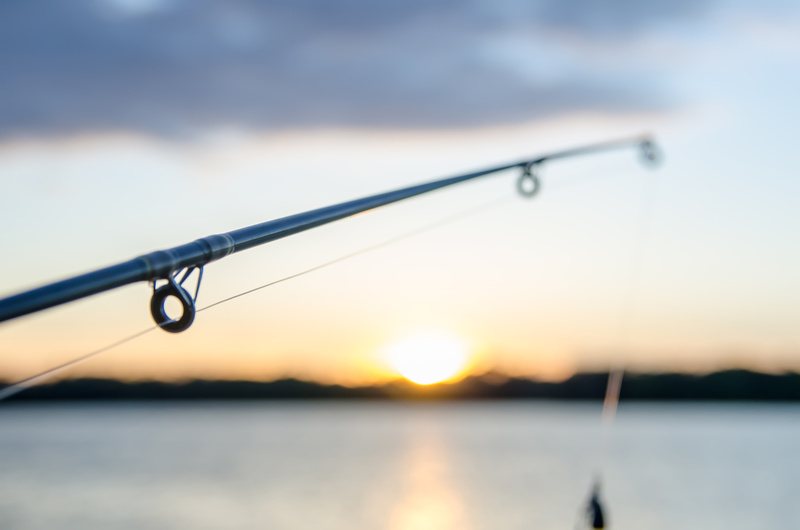 Life without the crowds – Going out during the summer can be a long and hectic process, but when fall comes around, and the lines disappear, the whole experience is a little more laid-back. That means less ridiculous wait times for the things you want to do, like go out to eat, grab a drink at a bar, tour a museum, or explore a bunch of galleries and stores! 3. Cooler weather – Anyone who’s been to Banks in the summer knows just how hot it can get. Fall temps usually average between low 60s to low 80s, well into October, which feels absolutely amazing after the sweltering summer heat! It’s perfect weather for long beach strolls, a day on the town, or exploring the wildlife preserves and refuges. 4. Plenty of room for pups – With the beaches less full and the temps down to reasonable numbers, fall is the perfect time to grab your favorite pooch and head for the coast! 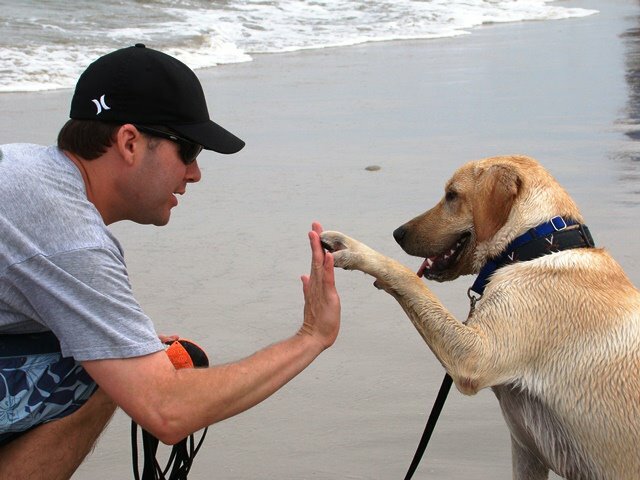 We have over 85 pet-friendly vacation homes that are just waiting for you and your furry family members. Follow this link to browse through our pet-friendly inventory! 5. Fantastic shopping – Fall is one of the best times to shop on the Outer Banks! Once the cooler weather starts moving in, many businesses reduce prices to sell extra inventory or entice the holiday shopping crowd. This means you can find some really unique gifts, often made by local artists, for everyone on your shopping list! 6. Beach Combing - Fall is an awesome time to comb the beach for tiny treasures. Shells, driftwood, seaglass, and other odds and ends can be found at low tides when more of the beach is exposed. These kinds of beach finds are great materials for arts and craft projects. People spot all sorts of funky things along the shore, and with less people perusing the beach, you might just be the first to find them! 7. Wild horse touring - Take a wild horse tour! The horses live here year round, and with dedicated organizations like the Corolla Wild Horse Fund Inc., the opportunity to see them and learn about them never goes away. The Corolla Wild Horse Fund Inc. monitors the activities and health of the wild horse population to keep residents and visitors updated with current information, and help educate people on the history of these incredible animals. Follow the link to learn more or book an excursion with a wild horse specialist! 8. Exploring the outdoors – Rent kayaks, SUP boards, or bicycles, and have yourself an adventure! Our friends at Ocean Atlantic Rentals help ensure our guests have all the equipment they need for a fun-filled vacation in Corolla. 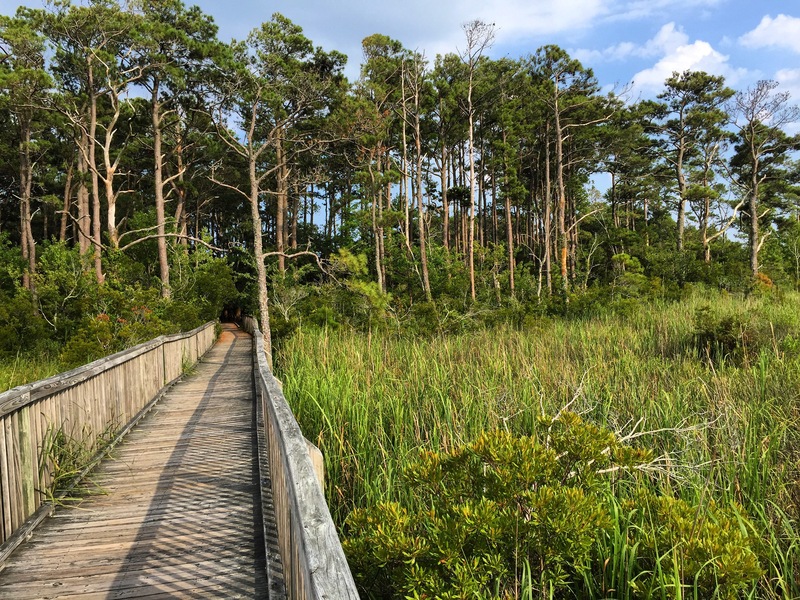 New sidewalks allow you to safely bike around Corolla with ease, or you can paddle along the shoreline of the Currituck Sound for incredible views of the Whalehead Club and the Currituck Beach Lighthouse! Do yourself a favor and play in the great outdoors! 9. 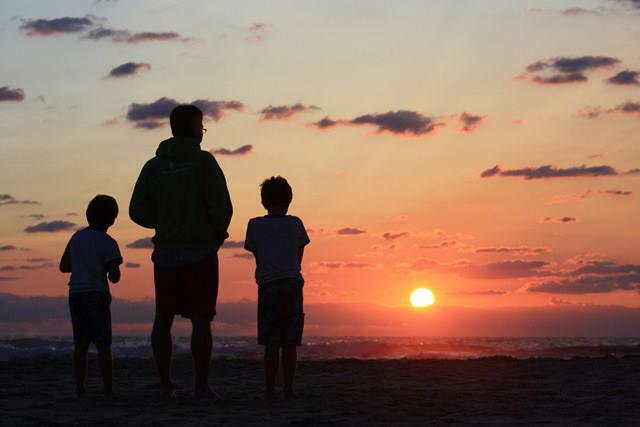 Fall Events - There's no shortage of things to do along the Outer Banks in the fall! Some of the upcoming events include the Outer Banks Bluegrass Festival (September 29th), the Duck Jazz Festival (October 6th-7th), the Mustang Rock & Roast (October 13th-14th), Creepy in Corolla (October 31st), and the Outer Banks Marathon (November 9th-11th). You can find a calendar of happenings on The Outer Banks Visitor's Guide website, or the Visit Currituck Events page! 10. Great Deals – You’re going to need a sweet place to stay for your trip to the beach, lucky for you autumn is the perfect time to get an awesome deal on a vacation rental home! Get an oceanfront home for less than $2k a week during the fall! Don’t just take our word for it, plan a trip to Corolla and experience fall in the Outer Banks for yourself! Give us a call at (866) 453-9660 or browse our website for a little post-summer get-away!